Alex Markakis, (General Manager of the Old Orchard Beach Surge), agrees to return as General Manager of the Surge for the 2016 season. Re-joining the club as Field Manager is 2015 Manager of the Surge, Skip Nathanson. Markakis, who is highly recognize for his name and cousin to Major Leaguer Nick Markakis, will enter his second year as GM of the Surge, where he looks to continue his career advancement at the professional baseball front office level. Scott “Skip” Nathanson agreed to a 1-year deal as on field manager of the Old Orchard Beach Surge for the 2016 season. Nate brings a wealth of Baseball knowledge and experience to the Old Orchard Beach Surge of the Empire League. He has coached at the High School and College levels as well as coached and managed at the Professional level. Nate has served as Director of Player Personnel with the New York State League and served as an instructor at multiple camps across the country sharing his knowledge with players of all ages. 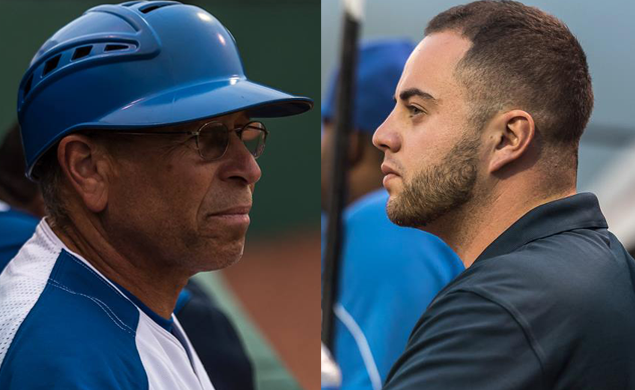 The Surge look to make their roster during spring training camp which will take place from May 22 – 28, 2016 in Delaware. The season is to begin on June 1, 2016.